Today we go to the Addison County Fair and Field Days. This year, there were 750 entries competing for awards at the Home and Garden Department: best jams, quilts and handiworks of all kinds. 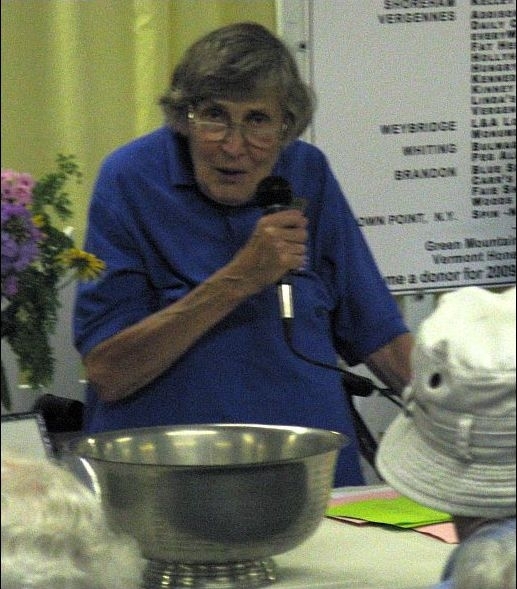 Each year the big prize is the Leona Thompson Bowl, which goes to the person who wins the most awards in all the various categories. Since the 1970’s Frances Monroe has been in charge.